The Barak Raviv Foundation is dedicated to assisting the less-privileged both locally and around the world. By working with existing organizations on the ground, the Foundation advocates the ancient Jewish axiom of “Tikkun Olam,” or Healing the World. We seek to promote the work of organizations that share our values, our goals and our commitment. The Foundation promotes a better standard of living, a responsible environment, and opportunities for youth. Self-sustenance in developing countries, educational scholarships to minorities, micro-loans in emerging economies, and the pursuits of medical research are a few of our core values. The Barak Raviv Foundation’s mission is to create programs that promote peace, human welfare and the sustainability of the environment on which life depends. The Foundation’s philosophy is based on the virtue of giving back more than one has received, and it advocates service, education, tolerance, and hope. If you’d like to inquire and learn how you could support the Barak Raviv Foundation visit The Barak Raviv Foundation online. 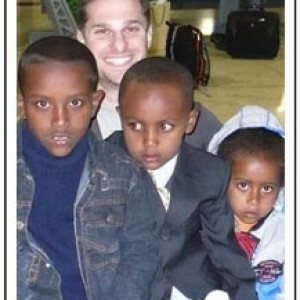 Barak Raviv Foundation in Beverly Hills Helping Underprivileged children around the world. The Barak Raviv Foundation is dedicated to assisting the less-privileged both locally and around the world.